← The Fed’s 100th birthday yesterday. Perfect moment to begin the shift from cancerous “growth” economy to regenerative steady-state economy. Somehow, we must find the capacity within ourselves to expand to include darkness and light in equal measure. As we do this, a new, life-giving fire is kindled within. Let us spread this fire, let us share this warmth, with every lonely, separated soul we meet along our way. Remember: your entrance into the world of light was preceded by fertile, nourishing germination and growth in the darkness of your mother’s womb. So is the whole human family in this annual Northern Hemisphere darkness, impregnated with the mystery and primal power of ongoing life. The holidays or “holy days” that eventually evolved from Hanukah, indigenous winter solstice rituals, and the birth of Christ all focus on finding light in dark times. Mirroring the seasons, our psyches eventually reach the limits of tolerating darkness before light must be introduced, even if for brief periods of time. Conversely, overexposure to light can be harmful, and if taken to extremes can result in blindness. This year as we in the Northern Hemisphere approach the annual winter solstice on December 21, we abide not only in seasonal darkness but in what appears to be a permanent psychic darkness resulting from catastrophic climate change and near-term extinction. In our despair, we may ask ourselves if there is any point in seeking to find any light in this terminal darkness. Why don’t we just mimic our bear brethren who willingly descend into the darkness for the winter and hibernate? Why not eat, drink, sate ourselves, sleep in, check out, and die? After all, glimpses of light are only poignant reminders of our inescapable predicament. Twice in my life I have been told that I had cancer. Twice in my life I used those epiphanies to radically alter the way I live my life. At the moment, I am healthy and vibrantly alive, but human existence is profoundly fragile and uncertain, and the odds against any of us being alive at this moment in time are gargantuan. As if the realities of near-term extinction were not devastating enough, the sinister silence and dubious distortions regarding Fukushima fallout heap darkness upon darkness, and we scour the psychic landscape for reasons to remain alive. 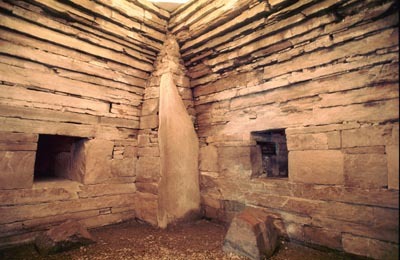 Many winters ago I was among several dozen Hopi-and non-Hopi individuals who sat in the dim light of a kiva on a frigid ceremonial night. The kachina dancers, always the ultimate teachers of the tribe, burst into the underground kiva chamber with the fury of the wind that howled above the ground. Shouting, drumming, and blasting their observers with a potentially terrifying cacophony, they began singing about the darkness as a necessary disciplinarian for the community. Certainly, I did not understand Hopi, but these words were later explained to me by crusty elders whose chiseled faces bore witness to their presence in more of these rituals than they could even count and to the darkness and light through which they had walked across many ceremonial calendar years. One of the intentions of shocking the community with intimidating kachina fury was and is to remind the people of their mortality and the reality that the profane perspective (that is to say in Anglo, psychological terminology, the human ego) will only harm the community and lead to individuals forgetting who they really are. As in virtually all indigenous ceremony, the sacred is central—the core of the community and of each individual. Conversely, near the time of summer solstice the kachinas enter the outdoor plaza of the village as clowns, their bodies painted with black and white stripes, somewhat resembling zebras. For this ceremony, nothing is sacred, yet everything is sacred as they generally take the Trickster archetype over the top with raunchy humor and muddle-headed (yes, one of the kachinas is called the “Mudhead”), hysterically funny antics. Again, the underlying message is: Your profane, ego-based disregard for the sacred is “screwing you,” (sometimes literally salaciously pantomimed by the kachinas). The kachinas, like the ancient Greek Cassandra and the biblical prophets, are teachers who impersonate energies that the community reveres because the people believe they need constant reminders of what matters. They are deemed sacred forces who live in the village for six months of the year and in the clouds of the San Francisco Peaks of Northern Arizona the other half of the year. The black and white stripes are perhaps the most significant of all the clown symbols because these particular clown kachinas symbolize the integration of darkness and light in one person and one community. I do not wish to romanticize the Hopi or any other group of indigenous people. They are confronting and healing their own wounds as a result of colonization. Yet they have not unequivocally lost, as civilized America has, their connection with the sacred through the earth community. Within the Hopi tradition is the teaching of “purification.” Throughout earth’s history, they believe, there have been four worlds, three of which have perished, and from their perspective this one is on an even more dramatic trajectory of self-destruction. According to the tradition, there must be a purification at the end of one world before another can begin. You might say that the Hopi have held in their psyches a profound sense of collapse and near-term extinction for millennia. It’s an integral aspect of their tradition as is dancing, singing, and a wicked sense of humor. Don’t forget the black and white stripes. Some Hopi men I’ve known have gone into the plaza for ceremony, dressed as clowns, dancing and displaying bawdy kachina humor at the same time that their hearts were breaking. A terminally ill child, a brother killed in a car crash, a house burned to the ground—all reasons not to paint oneself with black and white stripes and become a fool in the plaza in order to join the community in remembering what really matters. A useful practice with many indigenous people is this: Live as if every act, every task performed in daily life, every kindness expressed to another being and to oneself might be the last. This is one way I stay connected with the light in dark times. Walking in reverence, living contemplatively with gratitude, generosity, compassion, and an open heart that is willing to be broken over and over again. I do not always live the way I want to live. It’s a practice, and practice never makes perfect. Practice only makes practice, and if I think it’s perfect, I’m not practicing. Nevertheless, I’d rather stumble in the dark, finding an occasional candle to light the way than become blinded by excessive light. And so in this time of unprecedented darkness, find the light whenever possible, but most importantly, be the light for someone else who may not be as familiar with the darkness as you are. That may be why you came here. This entry was posted in 2013, as above so below, unity consciousness, waking up, wild new ideas, zone zero zero. Bookmark the permalink.